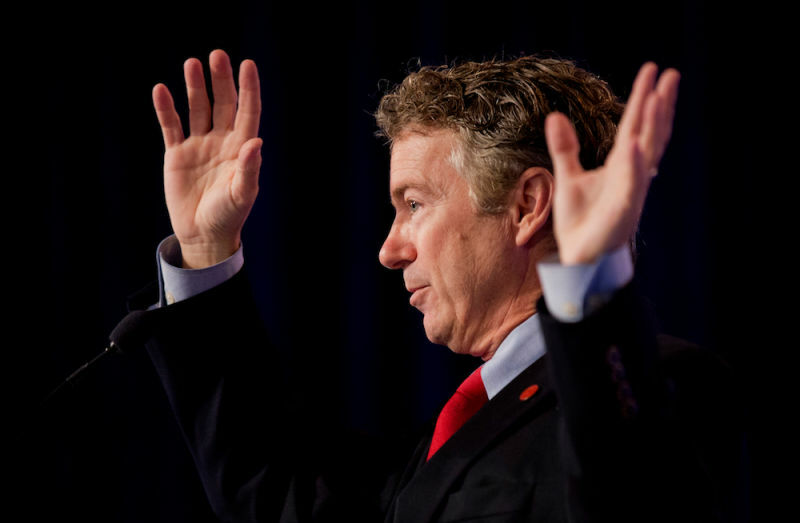 Why Won’t Rand Paul Tell the Truth About Trains? During a radio interview yesterday, Senator Rand Paul weighed in on the ongoing unrest in Baltimore. “I came through the train on Baltimore last night,” the Kentucky Republican and 2016 presidential candidate told conservative radio host Laura Ingraham. Chuckling, he added, “I’m glad the train didn’t stop.” There’s just one problem with Sen. Paul’s account: Every train traveling through Baltimore that night stopped at Baltimore’s Pennsylvania Station. The remark might have been easy to overlook; Paul followed it by urging listeners to understand that “this isn’t just a racial thing,” citing “the breakdown of the family structure, the lack of fathers, [and] the lack [of] a moral code” as the non-racial factors that provoked the upheaval. Why, then, did Paul misrepresent his itinerary? Did he take a train at all? Do trains even exist? At publication time, Senator Paul’s camp had declined to respond to multiple requests for comment.